Link Streaming Or Link Download for ER will shown after you complete human verification. Weaver, Kovac, and the other doctors work frantically to try to save Jerry and a pregnant Abby, who were both critically injured during the shootout that left the ER in shambles. Meanwhile, Sam tries to escape from her ex-boyfriend and his criminal accomplices as they head north, but things quickly turn violent. As Abby and Luka cope with their newborn's life and death struggle, the couple is shocked to receive a surprise visitor: Abby's mother Maggie. Meanwhile, Sam fears the prospect of criminal charges; Neela discovers that Tony Gates will be joining the ER team as an intern and Morris gets his job back while Weaver gets demoted. Gates is assigned to the case of a closeted gay man whose partner clashes with his family; Neela meets her new surgical chief, Dr. Crenshaw; and Pratt must cope with the flood of new interns. Abby and Kovac discover both the joys and difficulties of raising a newborn; Morris is wrongfully accused of being a child molester; Pratt has his trial-by-fire when he has to handle the ER alone, juggling multiple traumas, teaching duties and a troublesome intern. Neela continues to be the target of her difficult supervisor, and Sam discovers her sons latest extra-curricular activity. Curtis Ames, a carpenter who suffered a stroke under Kovac's care, sues him for malpractice. 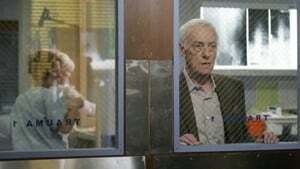 Kovac and Ames square off in court as each man's recollections of Ames' treatment are recounted via testimony and flashbacks. Meanwhile, Abby returns to work and must adjust to the dramatic changes in her life, and Pratt's early morning trip to the barbershop results in a new awareness of community need. Also, Abby and Pratt try an unconventional method for treating a heart patient and Neela tries a risky procedure which doesn't sit well with her chief. Kovac anxiously awaits the verdict between himself and Curtis Ames but fears the worst. Meanwhile, Neela disobeys her chief's orders and also questions her feelings for Gates, and Weaver unwittingly steals the spotlight from Morris in his big television debut. A belligerent young man with the flu turns out to be more than he seems, and presents a challenge to Morris and Sam when he refuses treatment. Abby's chance encounter with Curtis Ames leaves Kovac uneasy. Meanwhile, Pratt discovers a local church's risky drug exchange program, Neela and Gates square off, and Weaver gets an interesting offer. 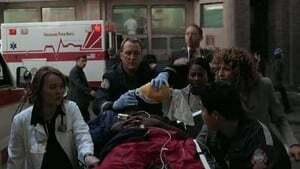 A mysterious illness leaves little hope when a group of homeless kids enter the ER and one of them believes that Neela is a guardian angel in blue; Abby and Kovac clash over a possible case of domestic abuse; Pratt makes a shocking discovery about his brother, and Weaver is unexpectedly called into action when her television appearance becomes a real emergency. Thanksgiving at County is quiet, with the normal number of routine (or nearly so) emergencies. But Abby makes up for the lack of excitement while returning to the hospital as the doctor on a helicopter transport. Kovac and Gates treat a girl who appears to have been assaulted. When the police are no help with Ames, Kovac decides to confront the problem himself; Morris and other doctors work on a patient with an ice pick in his ear. Meanwhile, Ray tries to keep his new relationship a secret and Pratt can't fully deal when his half-brother officially comes out. Also, a new male nurse arrives. It's Christmas in the ER. A homeless boy sends Gates and Ray on a mission. Meanwhile, in the ER, Neela oversees an unusual kidney transplant case; Sam takes a stand when a patient is dumped in an alley by another hospital; and Morris plays Santa for a special girl and learns the meaning of Christmas. 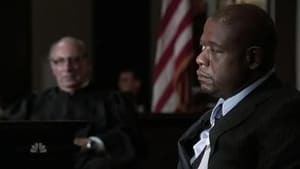 Weaver cares for a Katrina survivor who's reluctant to having surgery on her foot; budget cuts force Luka to make a difficult personnel decision. 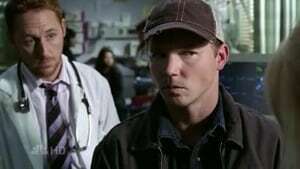 Also, Gates' home life intrudes on the ER; and Pratt and Hope are shaken after a patient in their care dies needlessly. Kovac reacts negatively when he sees Abby giving extra attention to a patient; Ray and Gates clash over a patient, pinning Neela in the middle; and Ben takes things to the next level with Sam. Meanwhile, Pratt is under investigation and Weaver says a final goodbye to the ER. 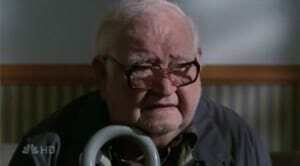 Kovac finds himself in a tense confrontation with Curtis Ames, and Abby must act to protect her family. Meanwhile, Neela and Gates rush to get Meg to the hospital while Sam's new home is soon under threat from fire. Abby and Sam try to treat an obnoxious, aspiring comedian with mysterious symptoms; Pratt must defend his actions in front of the medical board; Neela scrubs in on a kidney donor transplant; and Morris, as the lone attending, must run a busy ER. Also, Kovac gets a surprising proposal from Abby. Kovac and Gates find themselves with a moral dilemma when a woman comes into the ER with acute liver failure; Neela finds herself questioning what is right when Manish decides to give up a kidney to a complete stranger. Meanwhile, Ray fights to get to the bottom of a cheerleaders accidental fall; Abby gets a prediction for her future; and Alex's troubles continue to intrude on Sam's work life. A blizzard strands a family in the snow and Abby and Pratt quickly try to save the family. A gang shooting challenges Morris and Pratt. Meanwhile, Kovac and Abby begin making wedding plans, but their engagement might not be very secret; Gates struggles with the reappearance of his father and the possibility of losing Sarah; and Neela becomes jealous when Dubenko brings in a new surgical intern. It's Sam's birthday, but she finds it hard to be away from her son Alex. Meanwhile, Sam meets a photographer taking pictures of a terminal patient and she gives Sam a new perspective on life. Dubenko's new surgical intern unsettles Neela during a trauma; Gates is shadowed by a new and nerdy intern and later must tell Sarah the truth that he may be her biological father. Also, Morris and Hope annoy Kovac and Abby when they try to help with their wedding preparations. 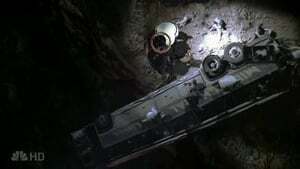 Kovac and Gates deal with a hopeless father whose son succumbs to heart failure; Pratt tries to resolve the tension between him and his brother; an Armenian man tries to be a good samaritan but ends up crashing near the ER; Abby sneaks in baby Joe when she worries his sickness may be worse than it seems; Also, Sam injures the instructor of a self-defense seminar. In 12 hours, the ER will shut down. As Kovac is under pressure to take care of the patients before the final hours, he makes a pivotal decision about his future. Meanwhile, Sam befriends a photojournalist who returns only this time she's terminally ill; Pratt is concerned when his brother ends up in the ER drunk; Morris confronts Gates when he ignores his orders and angrily sends him home while Gates tries to defend his actions. What is suppose to be a departmental dinner organized by Kovac turns out to be the surprise of a lifetime for Abby when she soon learns it's a surprise wedding, secretly planned by the eager groom. Meanwhile, at the wedding, ER staffers enjoy themselves with music and booze while Neela finds herself the center of unexpected attention between Gates and Ray, which leads to a drunken fight and a shocking conclusion. Dr. Kevin Moretti, an ICU specialist bent on change, joins the ER team. Change comes elsewhere as Luka and Abby adjust to being husband and wife, Pratt tries to be a new man to his lady friend, Morris and Hope take things to the next level, and Ray goes missing. Later on, Luka gets a troubling phone call. Season Finale: Luka postpones his honeymoon, leaving Abby, Joe and the ER behind to begin a different journey. 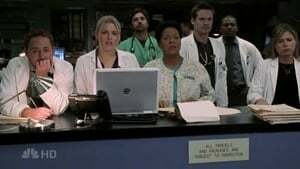 Meanwhile, it's Moretti's first day as Chief of Emergency Medicine, and everyone feels the effects of his style, especially Pratt and Morris. Neela learns of Ray's fate, then joins an anti-war rally and finds herself in a dangerous situation. Gates faces a crisis on the home front.